Should You Avoid Bruker Corporation (BRKR)? Is Bruker Corporation (NASDAQ:BRKR) worth your attention right now? Hedge funds are actually taking a pessimistic view. The number of bullish hedge fund bets that are revealed through the 13F filings declined by four to 20 during the third quarter. At the end of this article we will also compare BRKR to other stocks including Brocade Communications Systems, Inc. (NASDAQ:BRCD), Healthcare Realty Trust Inc (NYSE:HR), and Cognex Corporation (NASDAQ:CGNX) to get a better sense of its popularity. 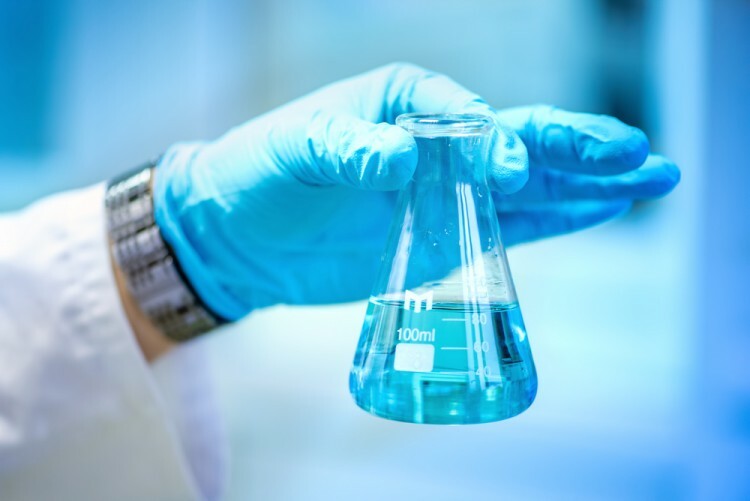 Keeping this in mind, we’re going to take a look at the new action surrounding Bruker Corporation (NASDAQ:BRKR). How have hedgies been trading Bruker Corporation (NASDAQ:BRKR)? At the end of September, a total of 20 of the hedge funds tracked by Insider Monkey held long positions in Bruker Corporation, down by 17% from the second quarter of 2016. 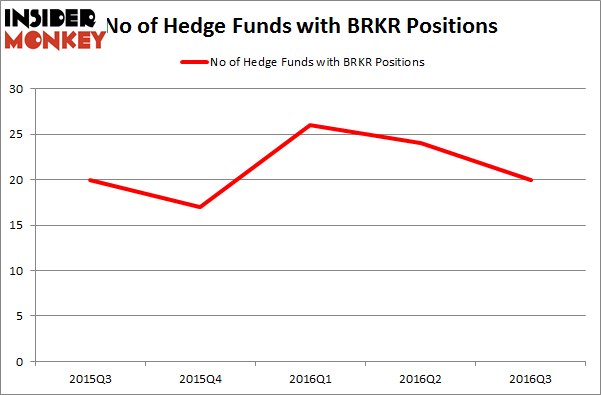 By comparison, 17 hedge funds held shares or bullish call options in BRKR heading into 2016. So, let’s examine which hedge funds were among the top holders of the stock and which hedge funds were making big moves. According to publicly available hedge fund and institutional investor holdings data compiled by Insider Monkey, Select Equity Group, led by Robert Joseph Caruso, holds the biggest position in Bruker Corporation (NASDAQ:BRKR). Select Equity Group has a $110.1 million position in the stock, comprising 1% of its 13F portfolio. The second largest stake is held by Cliff Asness’s AQR Capital Management, holding a $79.5 million position; the fund has 0.1% of its 13F portfolio invested in the stock. Remaining peers that hold long positions include D. E. Shaw’s D E Shaw, Paul Marshall and Ian Wace’s Marshall Wace LLP and John Overdeck and David Siegel’s Two Sigma Advisors. We should note that none of these hedge funds are among our list of the 100 best performing hedge funds which is based on the performance of their 13F long positions in non-microcap stocks. The Big Short’s Michael Burry Reveals His New Stock Picks Five Dow Jones Stocks That Can Outperform The Market Constellium NV (CSTM): This Metric Is Giving A Huge Buy Signal 5 Micro-cap Stocks Billionaires Love The Most 5 Stocks Hedge Funds Are Betting Against Insiders Is Becton Dickinson and Co (BDX) A Good Stock To Buy Right Now?